And so, I opened Mr Wilson's volume at page 1. ‘Away with melancholy’. 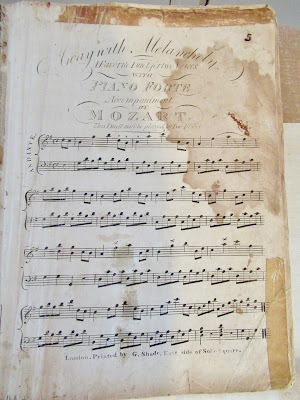 By Mozart. Really? Hey, I know that tune … well, goodness me! 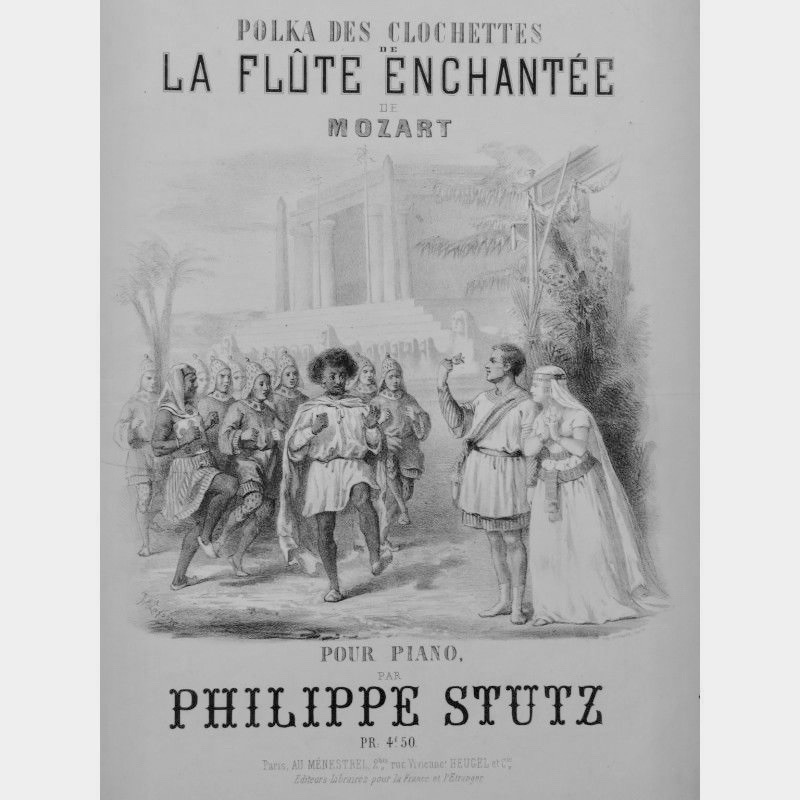 Mozart and Shickaneder’s Die Zauberflöte must be one of the best loved and most performed operas in the world. These days. 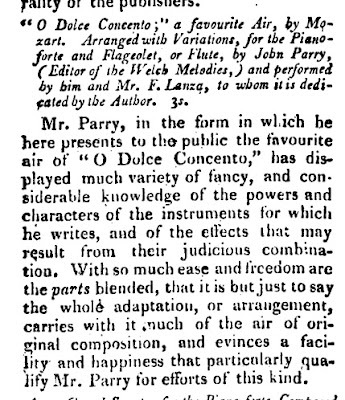 But, speaking from an Anglophone point of view, it originally didn’t hold a candle to Don Giovanni or the current bastardised versions of The Marriage of Figaro. Not until long after its initial production did it become a regular item in the opera houses of the English-speaking world. 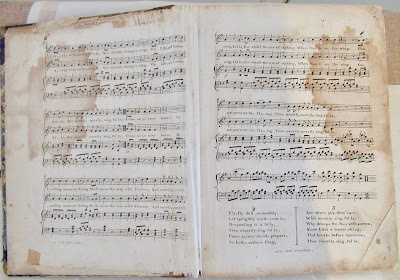 But, by the time it finally made it to an English stage, twenty years after its Viennese production some pieces of the Zauberflöte score had become highly popular. So popular, indeed, that folk looked upon them as English ballads, and had no idea that they had originated in a German Singspiel. And the most famous of these was the piece entitled ‘Away with Melancholy’. 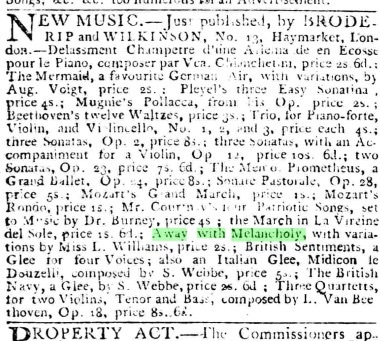 I don’t know when the song was first performed, and never can I find the name of the ‘poet’ mentioned, but the first mentions of published music I can find is in the listings of Longman and Broderip in 1797 when the duet ‘The Manly Heart’ and ‘Within these sacred bowers’ are offered at a shilling apiece. 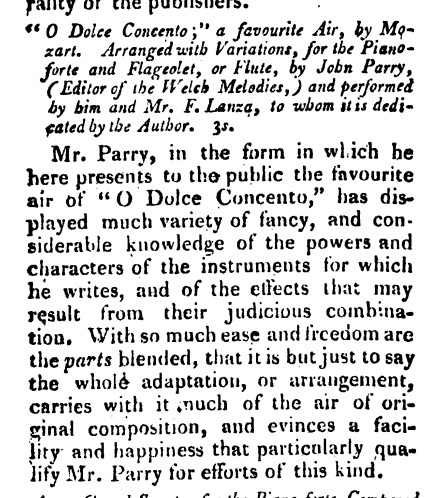 And their former employee William Rolfe puts out ‘Away with Melancholy’. So what is this number? Not the bravuras of the Queen of the Night, nor the glorious melodies of the lovers … no, it is the little tune ‘Das klinget so herrlich’ with which Papageno and his bells set the moor Monastatos and his minions a-dancing. 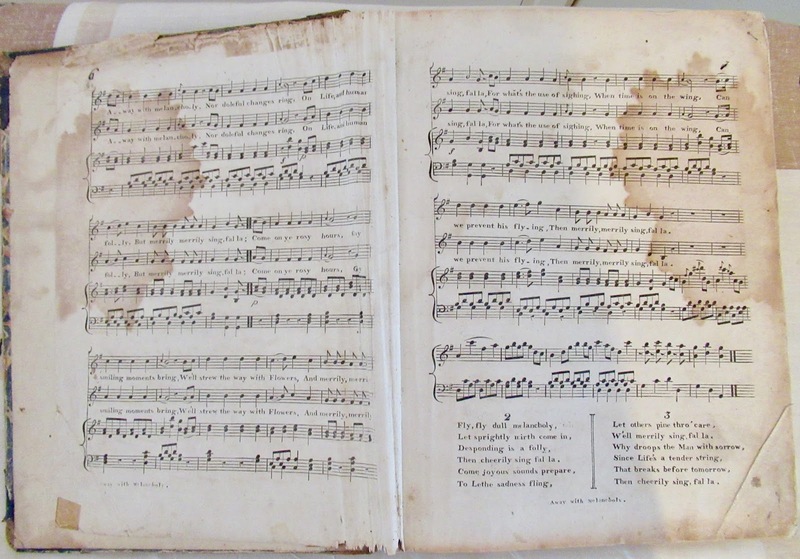 In the years that followed it was issued by many publishers in many different forms, from Edinburgh to Philadelphia to Dublin, for flute and for harp, for one soprano or two, as an ‘answer’ to ‘O my poor heart’ (which seems to have been ‘Voi che sapete’) and inevitably, being such a small and simple tune, ‘with variations’, and with the socially striving classes in mind, as ‘O dolce concento’, in Italian. 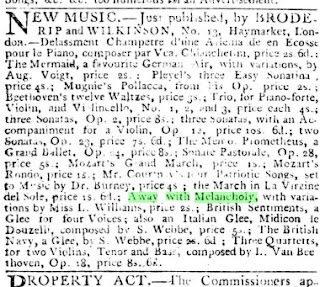 I note an advertisement, in 1804, for Mr Broderip’s newest version ‘with variations by Miss L Williams’. 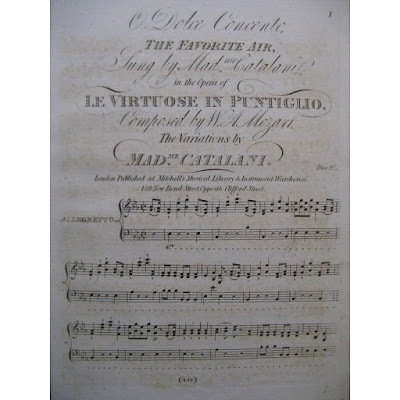 However, in 1808 the Queen of the Variations (vocal), Angelica Catalani, composed her own set of variations, which she interpolated into a revival of Paisiello’s La Frascatana and Fioravanti’s Le Virtuose in Puntiglio and later his La Sposa Stravagante. The little tune, become a little ballad, had become a full-sized vocal showpiece. 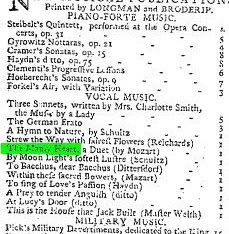 I see Mrs Salmon and Elizabeth Feron singing it (separately) in the following years, before the full opera got its first performance at the King’s Theatre 6 June 1811 for buffo star Naldi to play Papageno at his Benefit. In Italian. Hurriedly put up, its libretto incomprehensible to most, it was only liked for its music. Not all of which seems to have been from Die Zauberflöte. The Papagena of the occasion, Mme Collini, announced its repetition for her Benefit, but when the day came, she and Madame Bertinotti just sang some of the numbers. So, the introduction of Il Flauto magico to England was not precisely a happy one. ‘That popular Scottish tune’ ‘Away with melancholy’ sung by Signor Righi seems to have been the highlight of the night. Bits of Die Zauberflöte continued to appear in concert. 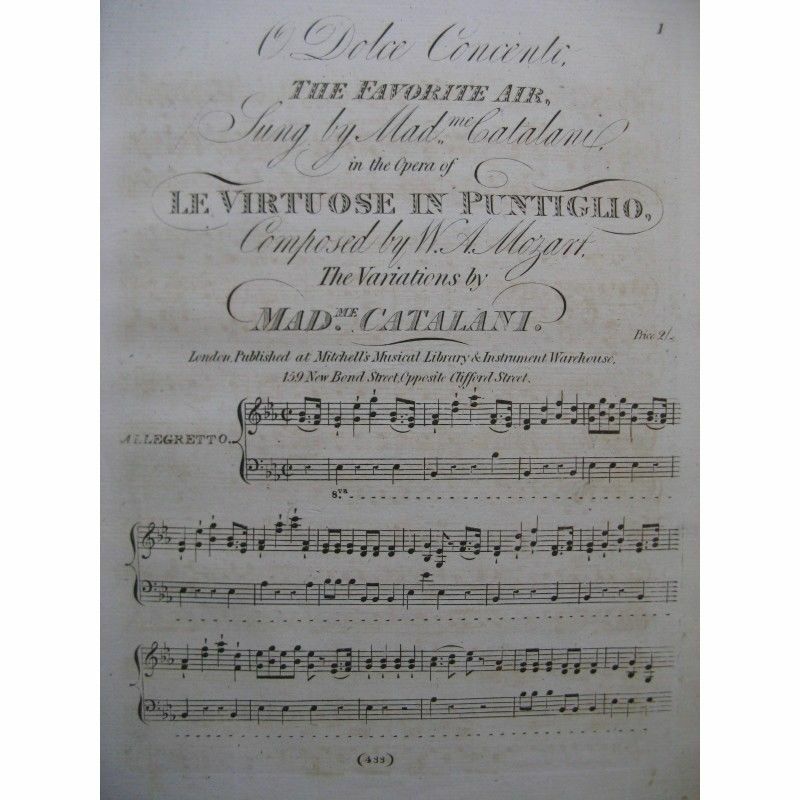 The overture was played at the Hereford Festival between the acts of Acis and Galatea, Catalani opened her Benefit concert with it but then gave arias by Portogallo, Paisiello and Nasolini. 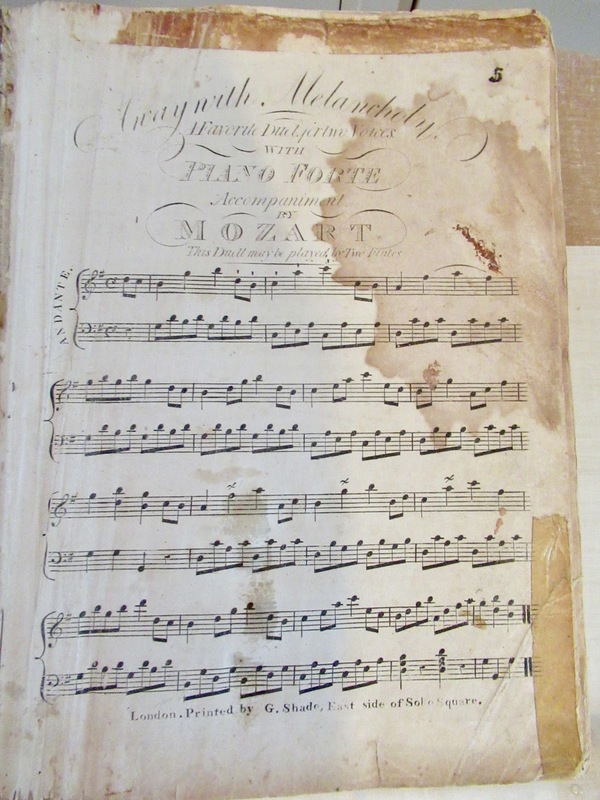 No Mozart. 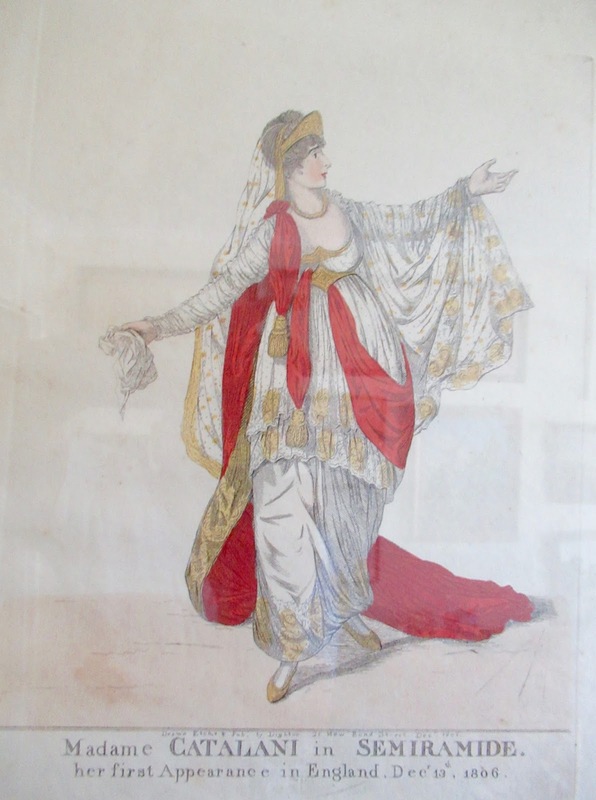 A selection from the opera was given at Drury Lane with keyed harmonica accompaniment (‘O cara armonia’), and in 1818 another selection, featuring Mrs Salmon, was given there at the oratorios, before in 1819 (25 May) the piece was tried again at the King’s. Much better cast (Mmes Bellochi, Corri, Angrisani, Ambrogetti and Begrez as Monastatos) it did rather better, but it did not establish itself, as ‘Away With Melancholy’ went into its umpteenth edition. Sadly, Mr Shade didn’t date his imprint. I’d guess it’s somewhere between 1815-1825. It’s a two soprano version, of utter simplicity, where the two voices sing endlessly in thirds, so I guess made for the infant market. That’s where it ended up, anyway. I see on you tube there are versions by various juvenile pianists, including one very deliberate one by a lass of four. From Mozart to ‘Scottish ballad’ to Catalani to kiddie exercise. But Monastatos’s little dance has lasted over two centuries in its ‘adapted’ forms!